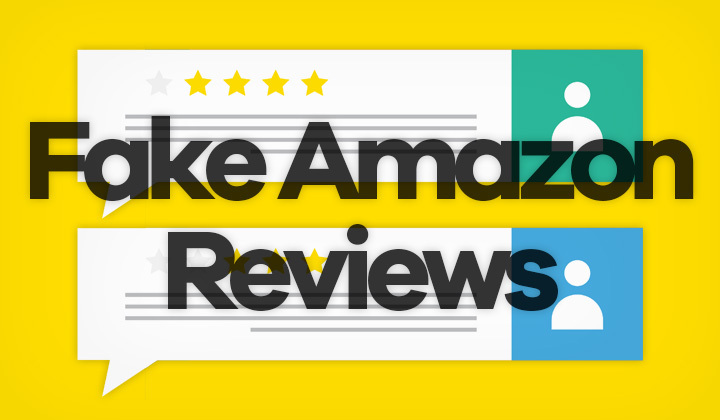 Save your wallet and follow these simple, but brilliant tricks to learn to spot the difference between fake and real product customer reviews on Amazon in 2019. While there’s no definite answer to the question, “can I trust Amazon customer reviews?”, it’s obvious that plenty of fake reviews exist, and you need to be careful. I’m going to show you exactly what these fake reviews look like, and walk you through the steps to identifying them. All it takes is a little practice reading fake reviews and their scams, so please open up the link below so we can get started. Click here to see such an Amazon review example! Looking at the customer reviews panel linked to above, the feedback looks mostly promising with some mixed reviews included. But can we really trust it? Let’s break down all the possible clues for a scam being operated here. Click where it says: “See all customer reviews“. You will be able to filter the results by “Verified purchase only” and see the total number of “verified purchases“. If a large quantity of reviews are non-verified, it is the quickest & easiest sign to not trust these reviews. Make it a common practice before every purchase. Even if all the reviews are from verified purchases, it doesn’t mean anything yet. You can click on the names of the people who have left a review to see their profiles. Go trough some positive ones, and check if you can see any similarities that would indicate that the person behind them is the same. In the above example, we can see similarities in the picture, number of votes, percentage of helpful votes and most importantly they are reviewing a similar range of products, mostly from the same sellers. Again, a clear indicator. Only about 3% of purchases turn into reviews. And even though some negative reviews are unavoidable, they can be pushed down by manipulating the “Was this review helpful to you?” question. So if you see that the negative reviews have a low helpful review ratio, it can be intentional. Also simply having too few negative reviews can be an indicator. If you are still not completely sure, you can see the other products from the same seller. Scammers are likely to use the same techniques throughout all their products. Too many similarities can always raise the flag. There are always those who praise or condemn a particular product. But the most valuable reviews are harder to fake because they cover both positive and negative aspects of the customer experience. Some common sense goes a long way. Good luck and have fun shopping at Amazon. This trust guide applies to all Amazon stores, including those in the United States (US), United Kingdom (UK), Canada, Germany, Spain, Italy, Ireland, Australia, France, the Netherlands (Holland), Brazil, Japan, Mexico, India and China. Questions on trusting reviews on Amazon.com or elsewhere? Comments, your tips, and suggestions most welcome! Much thanks for your visit, if possible, please share! David. I buy often from Amazon, but never trust their reviews exclusively … I know, from experience, that Amazon gatekeeps their reviews. One of my reviews was rejected because it was too brief. The other was rejected because I mentioned an error with the Amazon database regarding an item description – the description changed once I added the item to my cart. As I result, I don’t truly trust reviews as Amazon filters what is posted. It would just be easy if you could trust them I guess. Check those reviewers. Nuff said. Yeah. It starts to become pretty obvious when you get the hang of it. Sorry. I don’t understand. Can you rephrase your question please and I will do my best to help. Thanks. I recently parched a cell phone on Amazon. When I received the phone it didn’t work. After some effort I finally got the vender to take the phone back and refund my money. After all the frustration I wrote a negative review of the produce and vender. The review was removed a few days later. Apparently Amazon will not allow too many negative reviews to stay posted. Thanks for your comment and I sympathize with your frustration. Yes, but also they remove positive reviews. Looking at the abundance of fake ones, not very effectively. All has to be in favour of their profit, you see. Oh hi I have read your article, but I couldnt really identify those fake reviews. There are total of 8 reviews, and I really like this star wars figure, I want to purchase it but I don’t want to get scam. Could you please help me identify whether it is a scam? Thank you. Thanks for your comment. Looks legit to me..! Also remember, that you can return the item for a refund if it’s not exactly as described in the product description. I do my research elsewhere and if Amazon has a price I can live with I’ll buy there because of the convenience. I read Amazon reviews for entertainment. Amazon should only post reviews from people who have actually bought the product. I see no benefit of having lots of dubious reviews on their site. Exactly! Their pricing policy is to offer popular products cheap, when less popular ones are often more expensive. So your approach is very wise indeed. Thus making money on people thinking that everything is cheap. Some of the reviews can be really useful but probably most are just pretty much no good at all.. but I’m starting to figure this out thanks man!!! I also think that there are less valuable reviews than unhelpful ones.